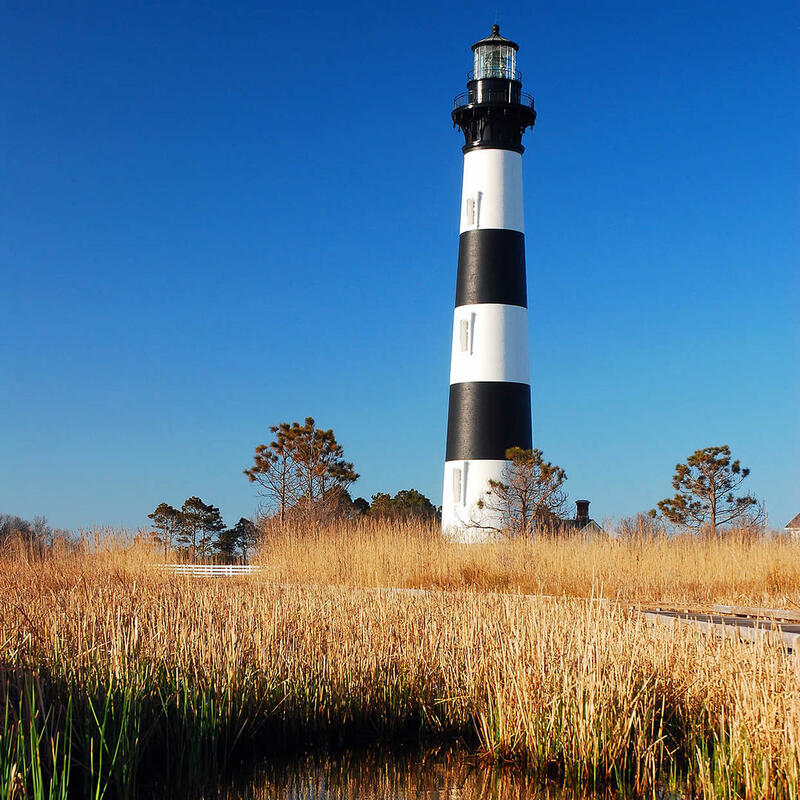 Perched on the Roanoke Sound, the current Bodie Island Lighthouse is the 3rd structure to stand at this location and has been active since 1872. This section of the ocean is unofficially called "Graveyard of the Atlantic" due to the number of ships that have sunk here. Always a morbidly fascinating subject, local giftshops sell maps with the locations of sunken vessels. The lighthouse name is a homophone of "body" - although it has nothing to do with the extraordinary number of sailors' corpses that have washed ashore here.